Save 10% off your purchase and get access to the freebie collection! Hi! I'm so happy you're here! 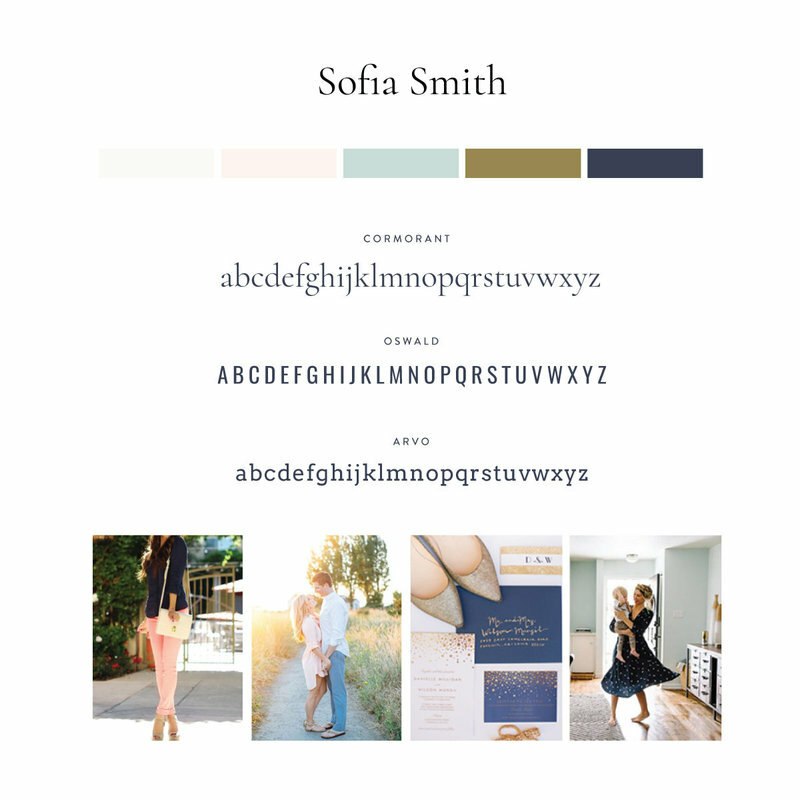 Sofia has a dynamic layout and showcases the personality of the photographer to attract joyful and friendly clients. Sofia creates natural relationships with her couples so they feel completely comfortable in front of her camera. Joyful. Feminine. Traditional. Simple. Friendly. 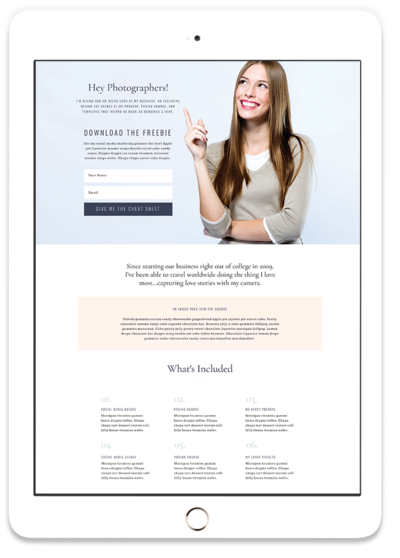 • Home page with large welcome slideshow and note to give your clients a warm first impression. • Dynamic modular grid for visual interest and galleries displayed organized. 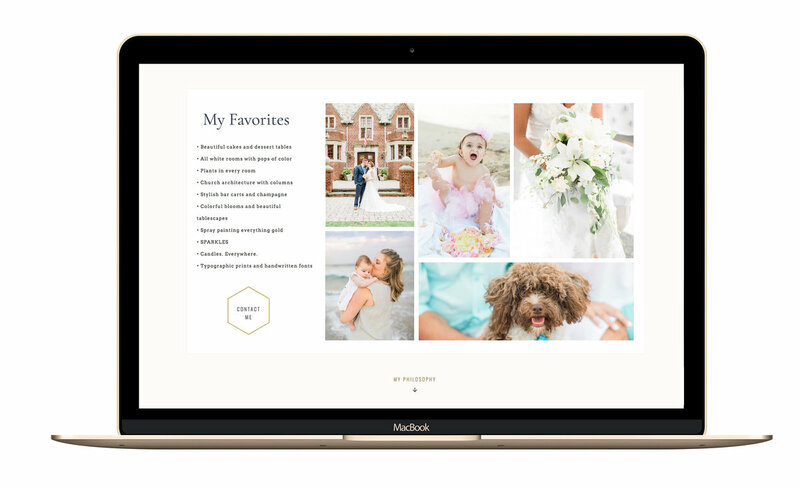 • About page showcases your personality, background, and favorite things to create a strong bond with your clients. • Large testimonial area to highlight past clients' praise. • Blog with sidebar and organized layout for a user friendly experience and strong SEO. Must have Showit to install template. Want the Full Collection? Bundle & Save! 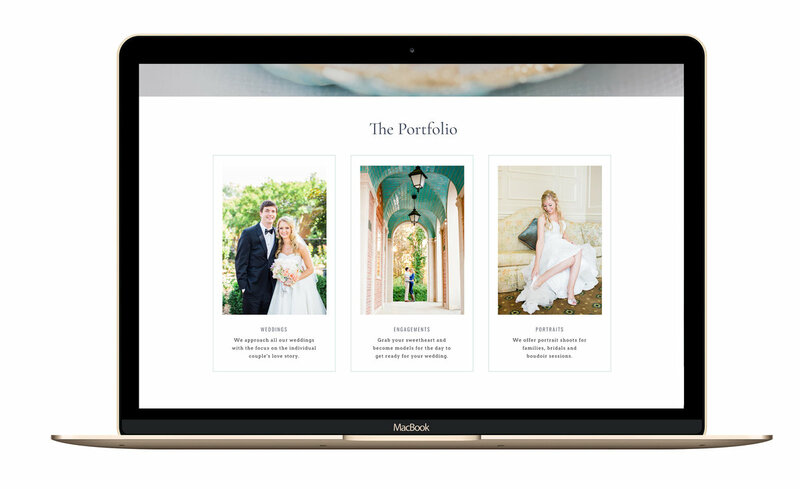 Select your favorite layout that matches your style. You can keep the design exactly like the demo or use it as a starting point for your own design. Upload your images, customize the text. 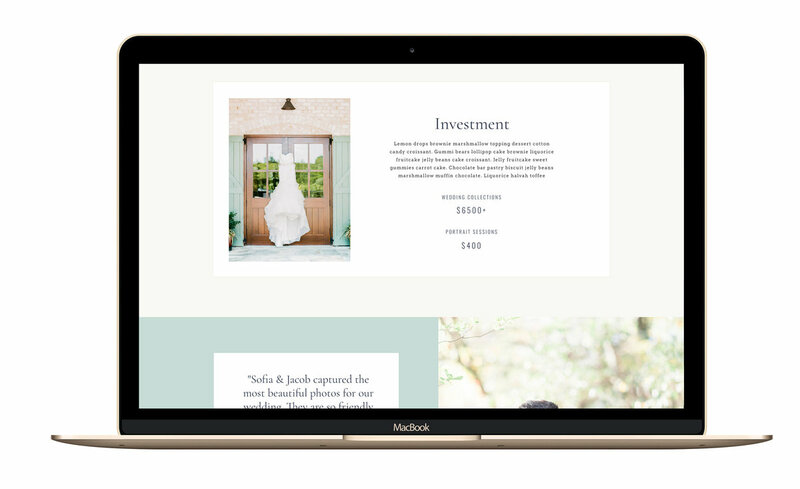 You can change anything from the layout, to colors, and typography to make it your own. Activate your Showit subscription and publish your design. Need a new set of eyes to give you feedback before your launch? 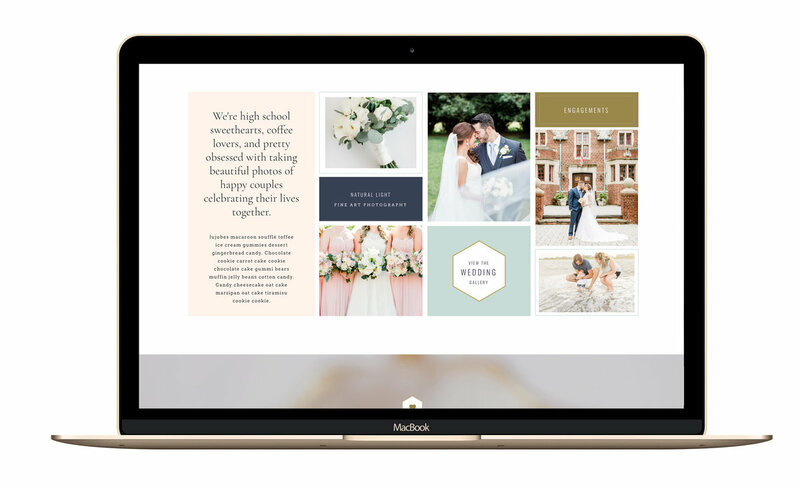 Drag and drop your way to your dream website. 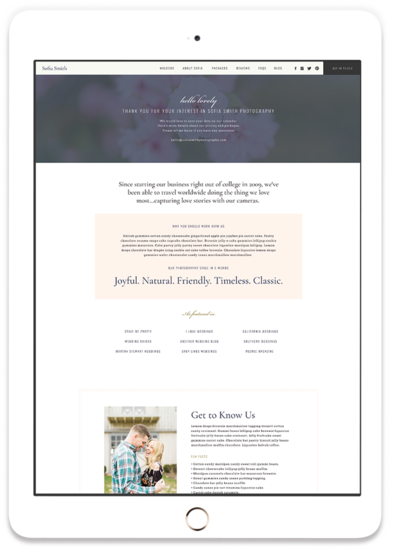 A few clicks and edits can transform your template into your customized design. 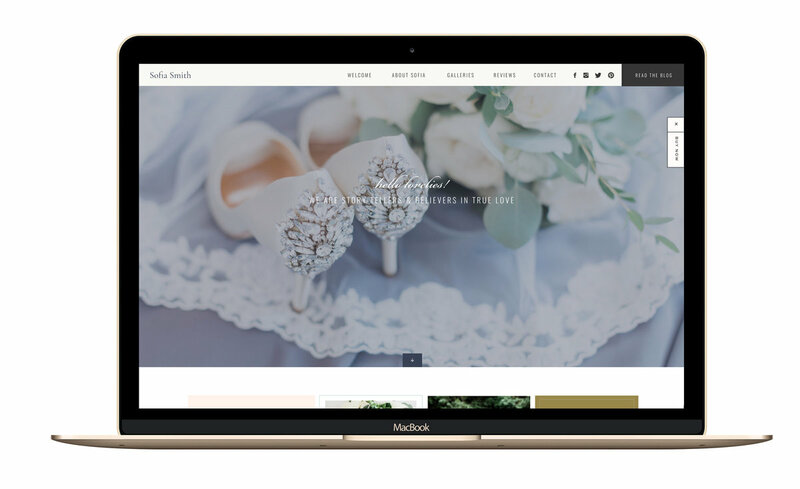 Design your desktop and mobile site side by side to edit to customize each platform to give the best experience for your viewers. 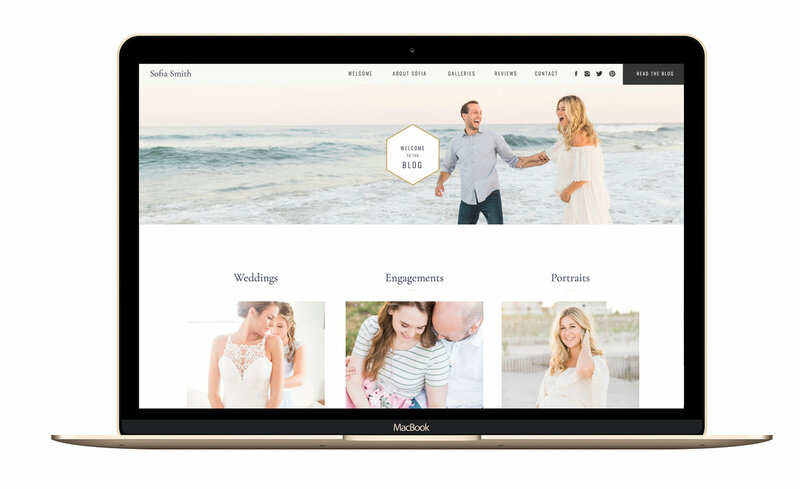 Take total control of how you want your blog design to look and integrate with your Wordpress blog. Master the program by learning from the tutorials and live chat with the support studs when any questions come up. your new community of creative friends are waiting. is showit just for photographers? Nope! If you have a business of any kind, Showit is the best website platform around. Plus, the Showiteers are a very inclusive and welcoming family with a great Facebook community of likeminded people who make you feel like you're not alone in running your own business. Showit is a monthly fee (or annual) with 3 different tiers of pricing based on what you need. You can find out more about the different options here. Our templates are a one-time fee. can you customize my site for me? You bet. 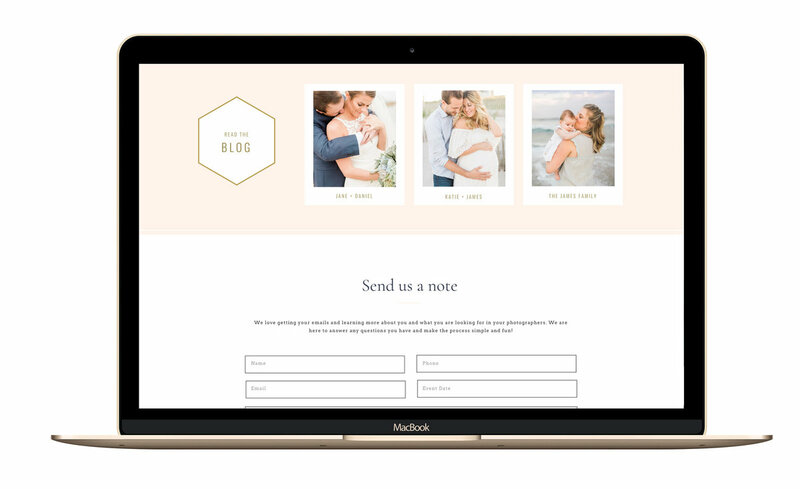 I put so much love and thought into my designs that I'm kind of an expert when it comes to these templates. For more information about my customization packages click here. I LOVE working 1-on-1 with my clients and really getting to know your story, ideal client and style. For all the details, visit my custom page.